Thursday 29 May 2014, marked the official countdown to publication for No. 1 bestselling writer Stephen King’s new novel, MR MERCEDES, which publishes on 3 June 2014, and the launch of an innovative digital content campaign. MR MERCEDES is a riveting cat-and-mouse thriller from the master of suspense whose insight into the mind of an obsessed, insane killer is chilling and unforgettable. Hodder & Stoughton publishers have worked with the agency The Upside, which has devised a creative strategy highlighting the fabulous breadth of Stephen King's storytelling. The idea is simple: have some of King’s classic characters come to life to introduce his new book and thereby increase the audience beyond his typical fan base. The concept is executed by the director-animator Andrew Griffin. Five mini animations of 15" have been created, each featuring a different character from one of King's celebrated books. 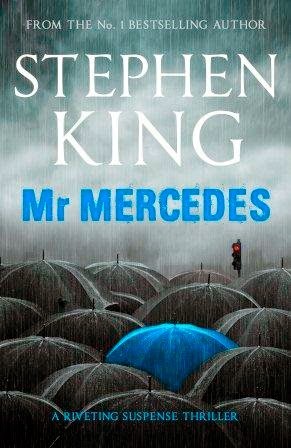 Each will reveal more about Mr Mercedes, the eponymous character in King's memorable new novel. The videos will be released via facebook.com/StephenKingBooks, in the five days leading up to publication. 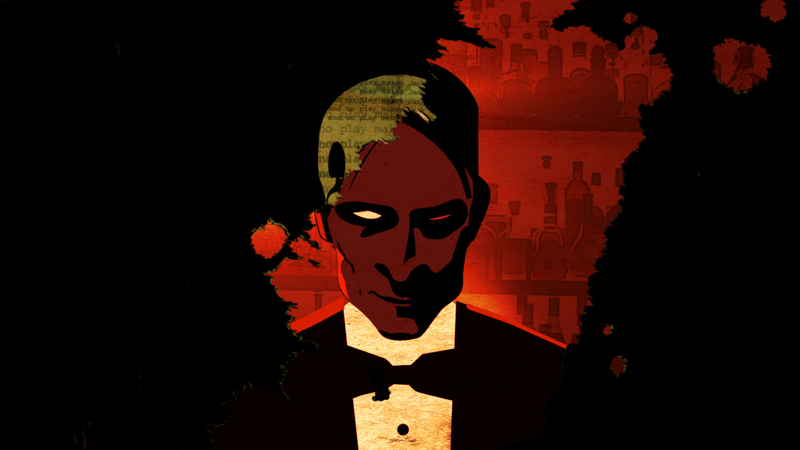 On publication day, 3 June 2014, the animations will be edited and released as one long introduction to the novel, with a fresh scene revealing Mr Mercedes himself to readers. The campaign was launched at 10am this morning with media partner The Telegraph. After the launch it will then be seeded across Stephen King’s own online estate, before distributing wider. Brady Hartsfield: the criminal whose case Hodges never solved. Now each is closing in on the other once more in a mega-stakes, high suspense race against time from worldwide bestselling writer Stephen King. Retired homicide detective Bill Hodges is haunted by the few cases he left open, and by one in particular: in the pre-dawn hours, hundreds of desperate unemployed people were lined up for a spot at a job fair in the distressed Midwestern city where he worked. Without warning, a lone driver ploughed through the crowd in a stolen Mercedes. Eight people were killed, fifteen wounded. The killer escaped. Months later, on the other side of the city, Bill Hodges gets a taunting letter in the mail, from a man claiming to be the perpetrator. Hodges wakes up from his depressed and vacant retirement, hell-bent on hunting him down. Brady Hartsfield lives with his alcoholic mother in the house where he was born. And he is preparing to kill again. Hodges, with a couple of misfit friends, must apprehend the killer in a high-stakes race against time. Because Brady's next mission, if it succeeds, will kill or maim hundreds, even thousands. STEPHEN KING is the author of more than fifty books, all of them worldwide bestsellers. His titles include Carrie, 11.22.63 and Doctor Sleep. Many of his books have been turned into celebrated films and television series including Under the Dome, The Shawshank Redemption and Misery. KING was the recipient of the 2003 National Book Foundation Medal for Distinguished Contribution to American Letters and in 2007 won the Grand Master Award from the Mystery Writers of America. He lives with his wife Tabitha King, in Maine.